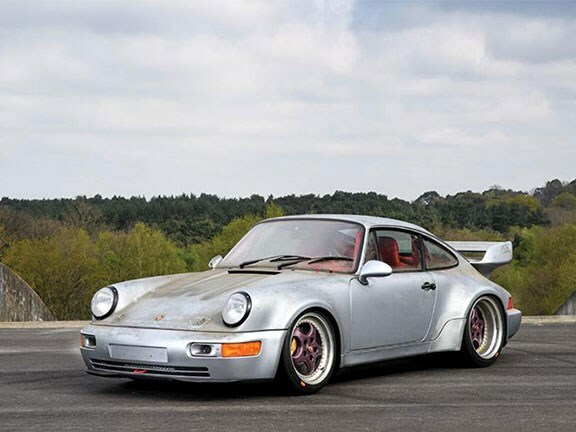 Imagine having enough cash to ring the racing department at Porsche head office and order a fully-race prepped type 964 Carrera RSR, to your individual specs. Then once it is delivered, you never drive it! That’s the story behind this extremely rare and totally original car, of which only 51 were ever built. For the first time in 24 years this gem has seen daylight, after being pulled out of storage with just ten delivery kilometres on the odo and still covered in the cosmoline preservation coating, which was applied over the polar silver bodywork at despatch. 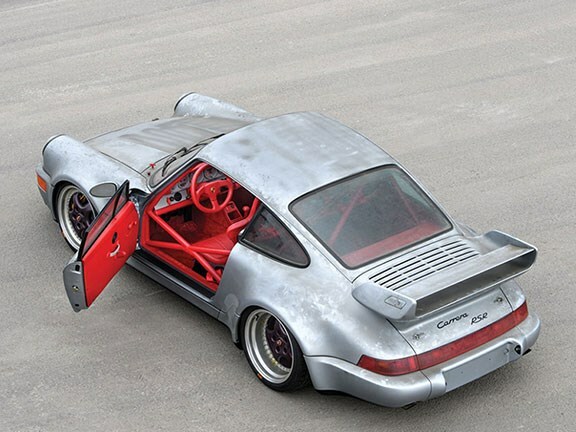 Typically a stripped out race car, the type 964 RSR boasts a turbocharged 3.8-litre flat six that develops 257 kW and 385Nm and rockets the RSR to 100km/h in 3.7 seconds; faster than an f40 Ferrari. It also sports an uprated five-speed transaxle, speedline three-piece wheels and massive gold painted brake calipers. And while the type 964 RSR is a rare beast, this one is rarer still, being one of only two ordered with a fully trimmed interior. The owner’s choice: Guards red leather upholstery and matching Can Can red carpet. In its day, the Porsche type 964 RSR was a force on the track taking victories like the Spa 24 Hours, Suzuka 1000km, along with a 1-4 class sweep at the Daytona 24 hours. The only drawback on this particular example, apart from the expected Au$2.9-3.2 million estimate, is it will probably need a bit of fettling before it turns a wheel in anger.